At this annual vendor-focused event run by our friends at The Starr Conspiracy, CEO David Wilson talked TCO – or Total Cost of Ownership. 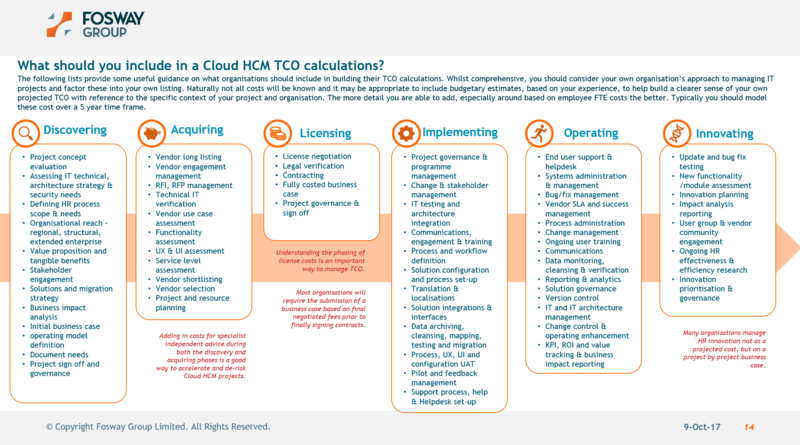 The competitive market place for Cloud HCM solutions is driving massive investments from Enterprise leaders as well as innovative start ups. But in the quest for sales numbers, have we missed something critical; what do these systems really cost customers to run, and are there fundamental differences in the cost profiles between leading vendors? Catch up with David’s full presentation.